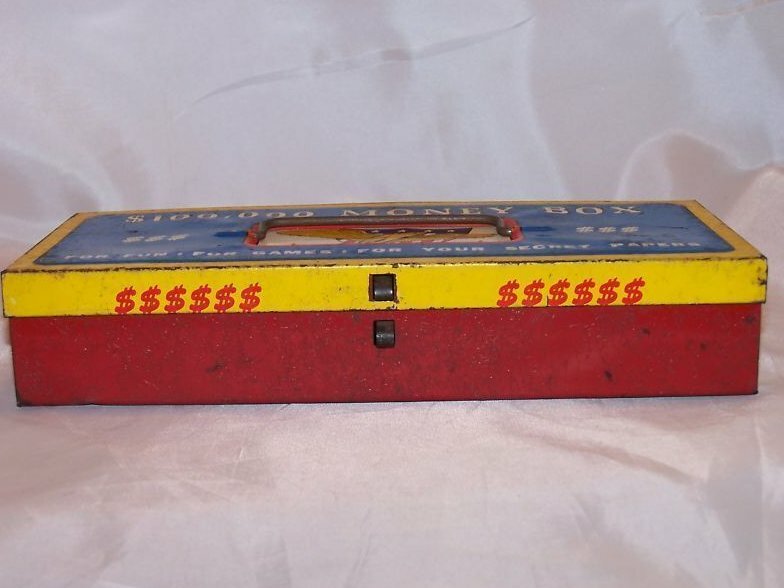 $100,000 Money Box Toy Tin Box, The Ohio Art Co. This colorful vintage tin box has a loop to put a lock through, guess it wasn't supposed to occur to a thief to just take the whole box...or bend up a corner! 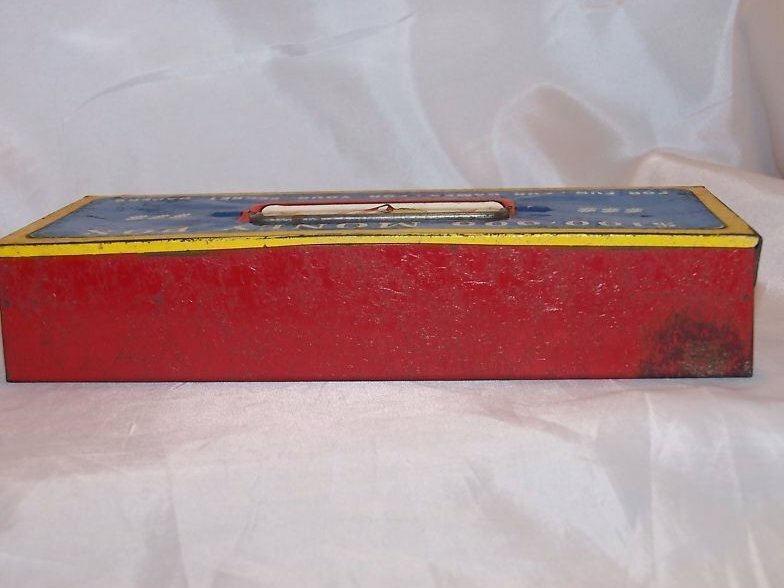 Although it has a lot of wear, this is a great vintage tin toy storage box! 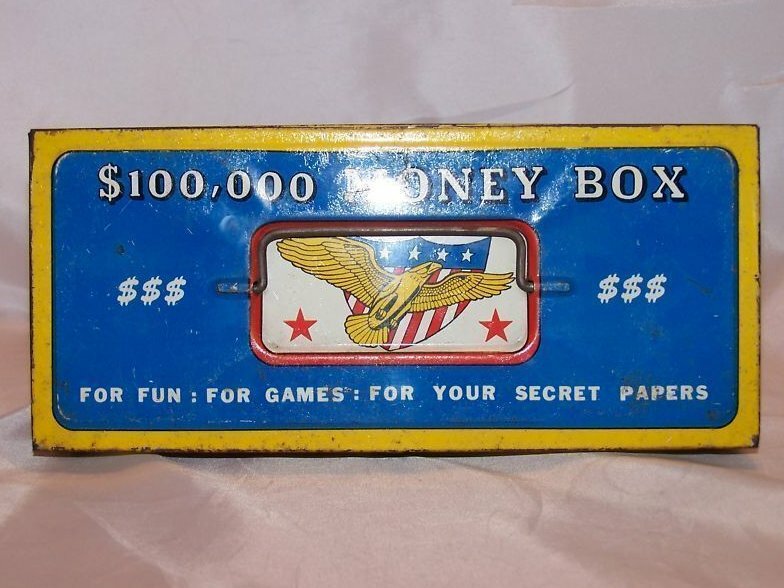 On the lid is: "$100,000 Money Box, For Fun: For Games: For Your Secret Papers." 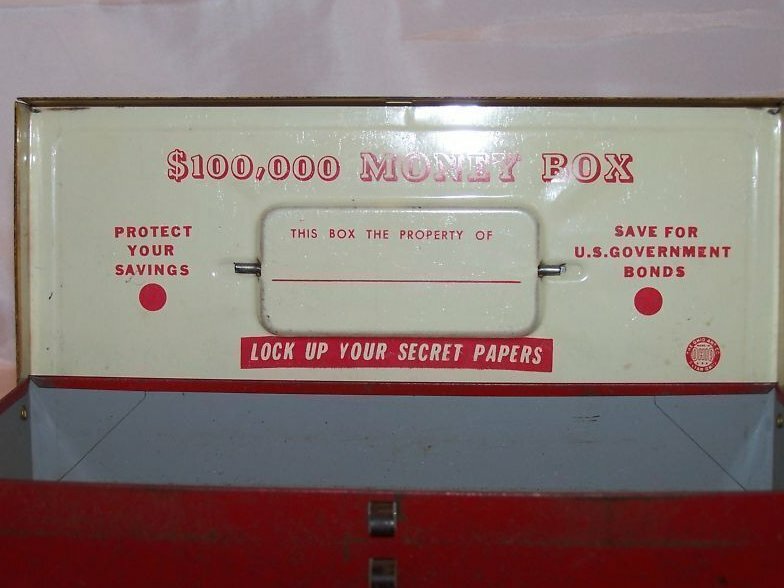 Inside is printed: "$100,000 Money Box, Protect your savings, Save for US Government bonds, Lock up your secret papers."